Hello from the Finland Missionary Mom! No group email today received from Schyler, but all is well in the land of Suomi. She is still part of a tri-panionship with Sis Adam and Sis Saairnen, however today Sis Saairnen headed to the embassy for final steps in getting ready for departure to the US. Looks like she could be in Utah by mid march and not long after that Schyler and Sis Adams will receive next transfers. Schyler has been serving in Jyvaskyla for over 6 months, so more than likely she will be moving to a new area which will also most likely be her last area before coming home. The months are passing so quickly for her as well as for us. I often have wondered why they don't just let the sisters serve a full 24 month mission, but its not my call to make. She has loved the winter there and will remember the snow and scenery forever. March and April will bring a change in the season and with that more and more light. How fortunate for her to be able to spend another spring and summer there and be able to experience the beautiful landscapes and foliage of Finland. 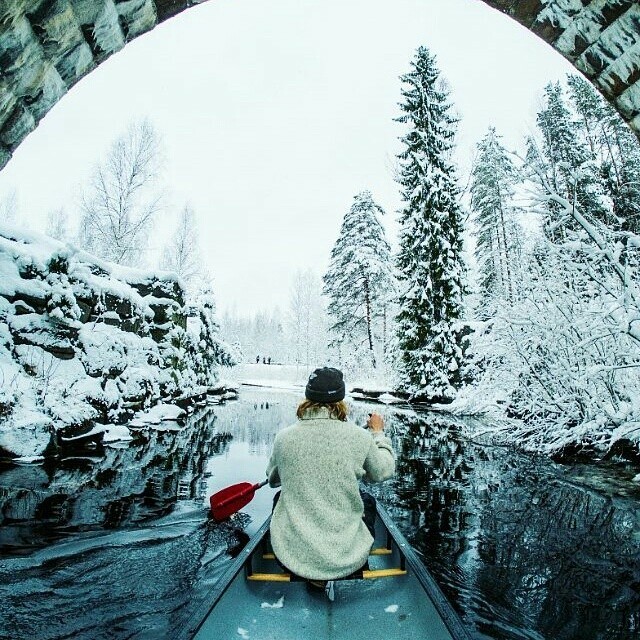 Winter is full of activity in Finland. People engage in ice skating, crosscountry ski, downhill skiing, dog sledding, ice fishing, snow shoeing. 1. Jyväskylä is the cradle of education and culture in Finland: the first Finnish-language elementary school, teacher training college and girls’ school were established here. 2. A youthful and innovative city with 45,000 students and schoolchildren – that is, 25% of the population. 3. The seventh largest city in Finland, with a population of 134,000. One of the fastest growing cities in the country. 4. The second most important location for fairs in Finland and a leading conference city. 5. The first Finnish city to acquire a parkour park and the first Nordic city to acquire an indoor parkour facility. 6. Tupaswilla in the Jyväskylä Region is home to the world’s largest smoke sauna. 7. Trailblazer in sport and recreation. The University of Jyväskylä has the only Faculty of Sport and Health Sciences in the country. It is also home to the Research Institute for Olympic Sports. It has more than 450 locations for indoor and outdoor recreation, and more than 200 sport and recreation clubs. 8. According to a survey carried out in 2012, Jyväskylä is the second most popular destination to move to in Finland. If offers the best living environment and the second best environment for raising children.